There’s no doubt that prostate cancer is a serious illness- aside from skin cancer, it’s the most commonly diagnosed cancer in men, and it kills approximately 30,000 men in the US each year. Yet debate rages on about whether men should undergo the PSA test to attempt to detect the presence of prostate cancer. There is little evidence that such testing improves overall survival benefit in the general population and there is much concern about the risks of intervention, which include biopsies, radiation, chemotherapy and surgery, all of which may have significant negative side effects. In fact, the concept of “active surveillance,” i.e., just keeping an eye out and monitoring, rather than intervening, is now a frequently used tactic when prostate cancer is diagnosed. 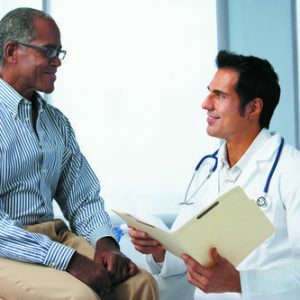 While every man should have a discussion with his own physician, and every case is different, there is much data to suggest PSA testing is not appropriate for many if not most men. Read the latest data and recommendations Here and Here and Click Here for a more comprehensive overview of prostate cancer and its treatment. And for those of you affected by prostate cancer, read about an impressive new therapeutic approach Here.